A twenty something Pharm.D. candidate that loves to knit, crochet, and garden in her spare time. I have an amazing husband who puts up with my love for yarn and plants. 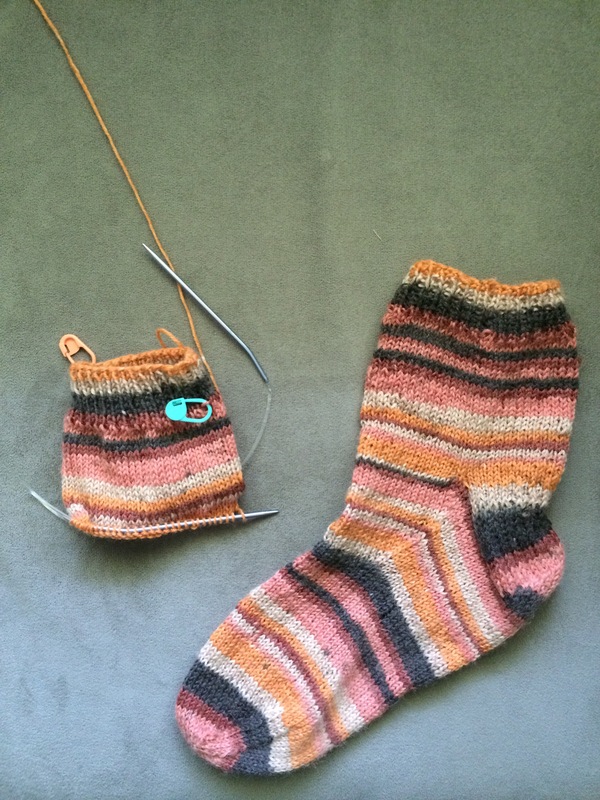 So finally, last year, I decided to start the adventure of designing socks that would give me a “few” extra days of not having to mend the bottom of his new knit socks. Since I am new to patterns, I decided to not charge for this even though it took lots of my time to design. Please feel free to leave comments or questions. Cannot wait to see your progress on Ravelry! I use Addi Turbo 12″ Circular Needles size US 0. CAST ON | 64 stitches using the German twisted cast on. CUFF | *K2P2* for 4 inches. HEEL FLAP | Separate the 64 stitches in half, with the first 32 stitches staying on the needles. Place the last 32 stitches on a stitch holder. Repeat the following 2 rows for a total of 26 rounds and ending with a purl row. Row 1: *Slip 1, knit 1* until 1 stitch before gap, then ssk, k1, and turn. Row 2: Slip 1, *purl* until 1 stitch before gap, then p2tog, p1, and turn. GUSSET | Continue *slip 1, knit 1* across needle. Then, place a marker, and pick up 16 knit stitches. (How not get gusset holes video), place stitch marker, then *k1,p1* across the 32 stitches being held on the stitch holder, place stitch marker, and pick up 16 knit stitches (Do as video shows … see previous how to not get gusset hole video link). I place one more stitch marker right before the heel turn stitches I just finished making. I consider this heel stitch marker the beginning of my rounds from now on. 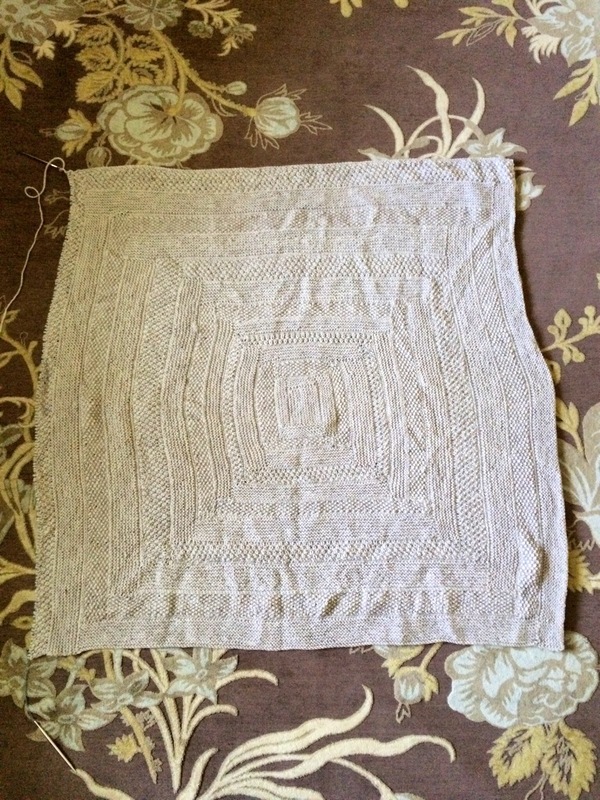 From 2nd marker to 3rd marker: knit until the last three stitches, k2tog, and knit 1. From the 3rd marker to the 4th marker: *k1,p1*. From the 4th marker to the beginning marker: ssk the first two stitches, then knit until the beginning marker. I repeat decrease round then constant round until I have 60 stitches. FOOT | Repeat constant round from gusset until 2 inches before toes. Decrease round: Knit to 3 stitches before third marker, k2tog, knit 1, slip marker, knit 1, ssk, then K2,P2, until 3 stitches before fourth marker, k2tog, knit 1, slip marker, k1, ssk, and knit to the third marker. Pattern round: Third marker to fourth marker, *K1P1* slip fourth marker, knit to the third marker. Continue round 11-12 three more times. Then work only decrease round until you have 16 stitches on the needles. Today, I finished my P3 year of pharmacy school. Tomorrow, I start my first day of a year filled with month long rotations. I am excited because this means I will have more time to knit! I have finally endured through the wedding planning process and came out with a husband and a nice vacation! 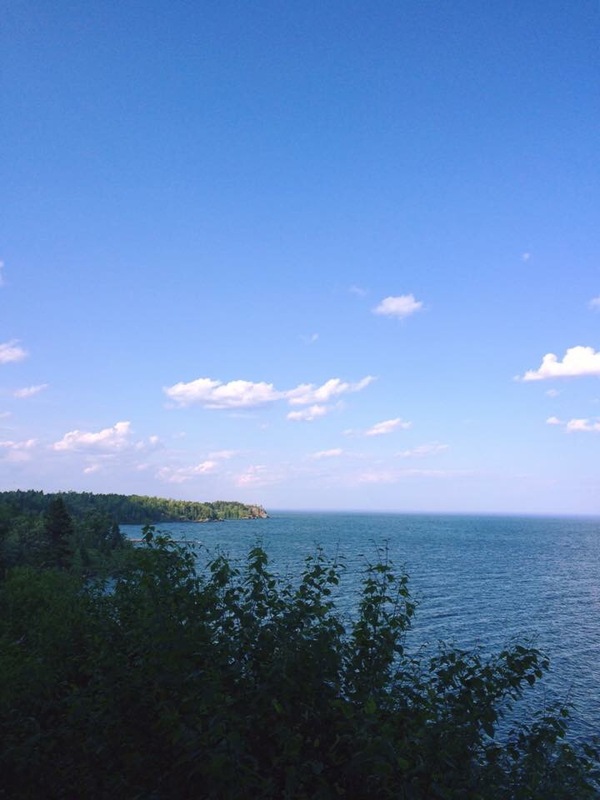 We decided to honeymoon on the north shore of Minnesota. 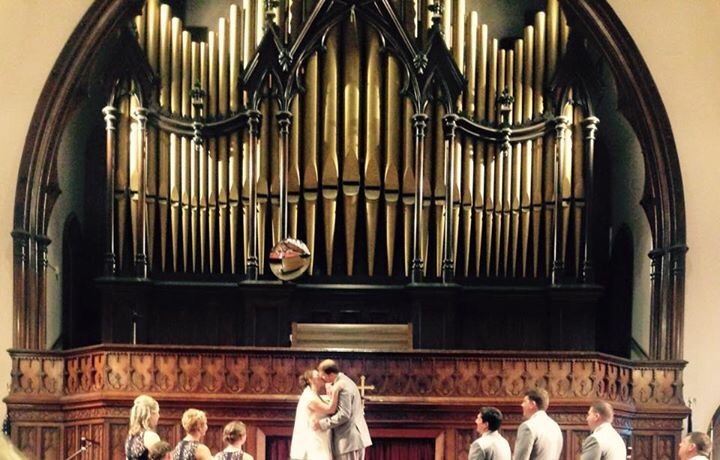 It is so beautiful up there that we just couldn’t resist! The view from our townhouse! We had a few rainy days so I went exploring on google maps to find a yarn store! My husband obliged and we found this gem of a yarn store outside of Two Harbors, MN! My husband told me that I could have as much time as I wanted in there and I could buy whatever I wanted…he had yet to realize he just uttered a knitters dream words! 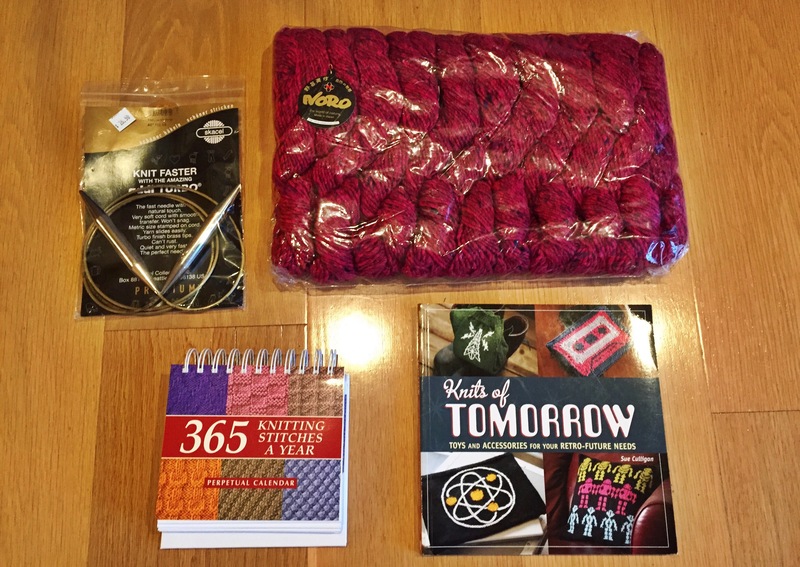 He wanted me to knit him a laptop case so he bought the book of Knits of Tomorrow while I wanted a new shrug, bigger knitting needles for the scarves I make, and a stitch a day calendar plus marvelous Noro yarn! I am looking for patterns tonight for the shrug to start but I may end up making my own pattern! Let me know if you guys have any ideas! Back when I was an undergraduate student and living in the dorms, I would go through eye masks like they were a newly bought bag of Cheetos. One night the velcro from an eye mask got stuck in my hair (almost had to cut my hair to get that one out!) to even wondering if I was wearing an eye mask because so much light was coming in around the eye mask. 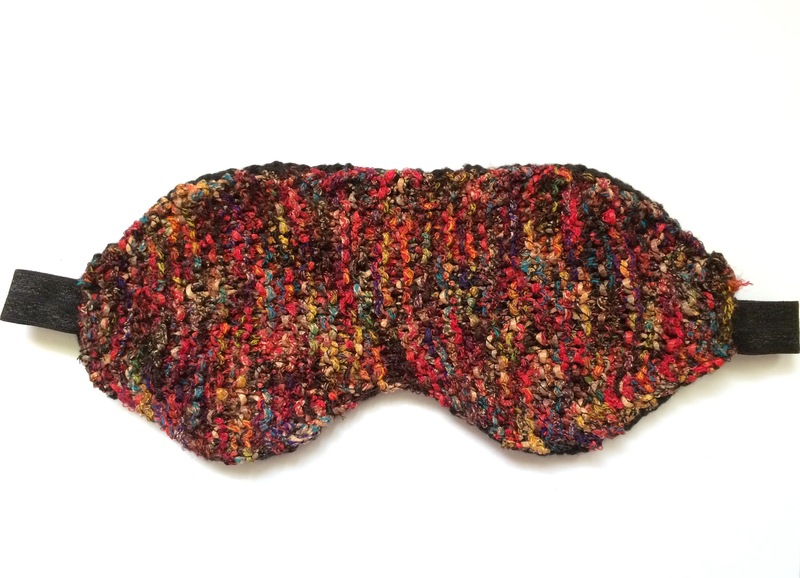 So I decided, I can knit, why not make an eye mask. Thats just what I did. I came up with a pattern and walla I actually could get a restful night of sleep again. I fell in love with them so much that I decided I would sell them on Etsy. And they sold like hotcakes! While I have been preparing for the upcoming nuptials with my fiancé, a customer requested I make another one for him. So in some spare time, this is what I made for him. I cannot wait to hear what he says when he gets in the mail! I will let you guys know when I hear back from him! I am busy, busy, BUSY these days. I just finished my doctoral project, planning a wedding, and knitting in all the spare time I possibly can. I was going to knit a flower bouquet for the me and the bridesmaids. However, I just do not have enough time to finish before the big day arrives. 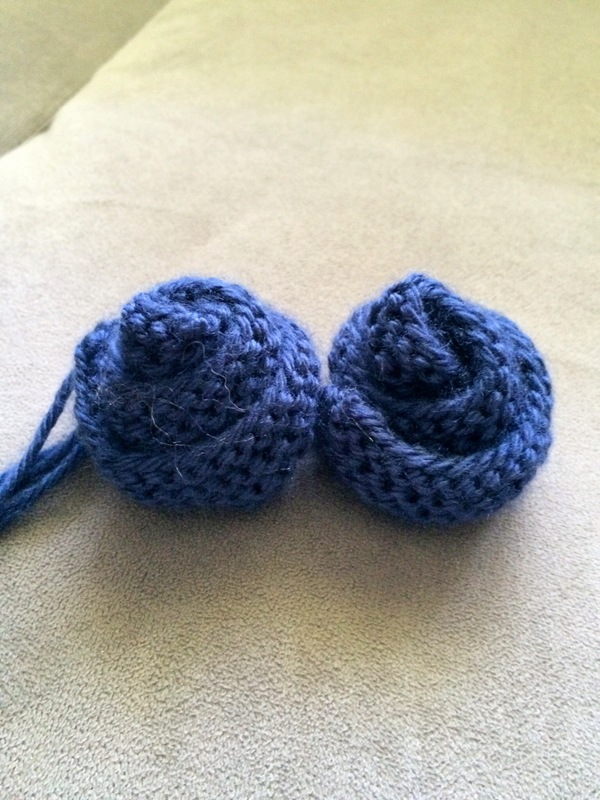 Instead, I decided that I will knit the groom’s and groomsmen boutonnieres. I knit my fiancé a blanket last year for his birthday. He take that blanket everywhere with him in case he gets cold. So I figured I would knit us a blanket for our new apartment and so that we can snuggle under one blanket. However, it has gotten large and not so cold anymore. So I find myself only bringing out my blanket project on cold days. Since we are starting to get spring and summer weather, I have found myself knitting socks when I couldn’t cary the other two projects around. Boy did I forget how nice and easy it is for a knitting project to fit in your purse without getting all mumbled and jumbled! I have finished one sock and I am starting on the other cuff right now. Because of my current sock obsession, I asked my fiancé if we could afford to buy some addi turbo 8″ circular knitting needles so I can have an easier time knitting socks on the go. I was thrilled yesterday when they finally arrived in the mail!!!!! I cannot wait to use them! I am hoping that this Memorial Weekend when we head up north to the cabin that I will be able to whip them out and knit some more socks on them.